Разработчики мобильных приложений и специалисты по CRM-системам - в списке наиболее востребованных профессий на российском рынке. В новой версии программы добавлена возможность просматривать карты с доплеровских радаров на территории США практически в реальном масштабе времени: задержка составляет всего 10 минут. В результате на экране коммуникатора видно как в вашему городу приближаются дождевые или грозовые тучи. Elecont Software released new Elecont Weather with new unique hour-by-hour forecast. We love hearing that we`ve done a great job! Thanks to our many clients who have taken the time to let us know. Here is some feedback from Russia. eWeather HD - the most feature rich weather app for iPhone and iPad. The feature comparison table. eWeather HD 3.1 is the most popular weather app in Russia! eWeather HD EASTER SALE 50% OFF. Download the most beautiful and powerful weather app for iPhone and iPad. eWeather HD receives a great number of favorable reviews in Japan. Thanks to all of our users in Japan! eWeather HD displays the latest earthquakes provided by USGS / EMSC at local (Yellowstone), regional (Asia Pacific), or global scale (Worldwide). Only on 04/04/14 eWeather HD for iPhone and iPad app on SALE for 50% off ! eWeather HD: Successful release in the U.S.
eWeather HD: Successful release in Russia. eWeather HD: successful app release. 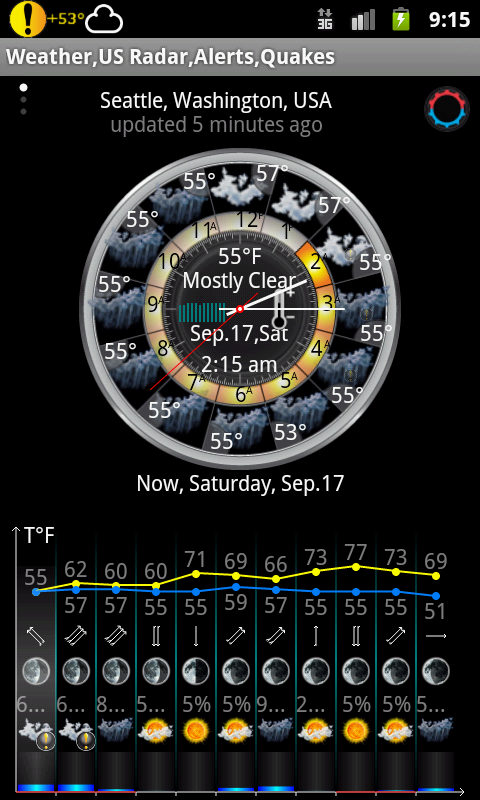 eElecont LLC is pleased to announce the release of eWeather HD 3.0. The new version (1.7.0) of the eRadar HD for Android released. New version adds: Nexus 5 and Android 4.4 compatibility (Nexus 5), option for screen always on, custom location.